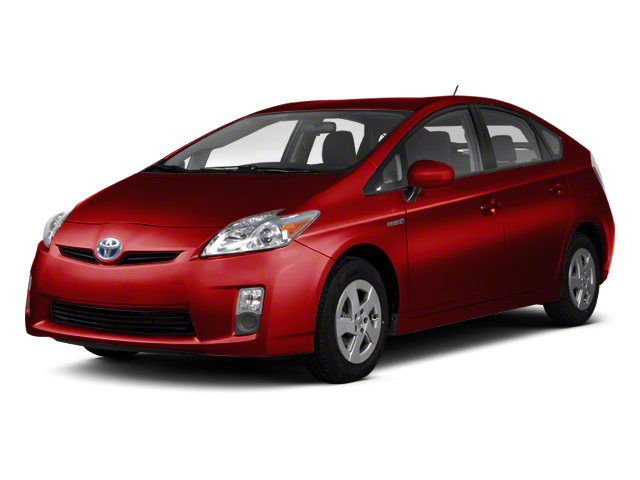 Having been completely redesigned for the 2010 model year, The Prius is in its third generation. The new Prius can now achieve 51 mpg in the city and 48 on the highway, making it the only vehicle in the United States to offer a combined mileage of greater than 50 mpg. A larger, more powerful 1.8L Atkinson-cycle, 4-cylinder engine replaces the previous 1.5L 4-cylinder engine. It can produce 98 horsepower at 5,200 rpm, but when combined with the electric motor, the 2010 Prius can generate a combined net horsepower of 134, and with 105 pounds-feet of torque. Disc brakes are now used on all four wheels, replacing the front disc/rear drum brakes from last year. A revised body shape improves interior headroom and aerodynamics. The cabin now includes a floating console and a shift lever with a more traditional layout than 2009. An available sliding glass moonroof is packaged with solar panels, which are located directly above the rear seating area to power the new ventilation system. This solar-powered ventilation system uses an electric fan to circulate air even when the car is off. The 2010 Prius offers a remote air-conditioning system which can be started or stopped from the electronic key. In addition, an exhaust heat recirculation system reduces heat waste by warming engine coolant during cold startups. Also new is a standard multi-information display panel that monitors fuel and energy consumption. It includes touch sensors on the steering wheel so as to reduce driver eye movement.